The more info we have, the faster your business will receive funding! If you have any questions, please complete the application to the best of your ability and we will reach out to you for your free consultation. Does your Business have any debt or liens? Provide us with a current copy of your three bureau credit report. The secure link below has been set up through IdentityIQ.com, with a 97% off discount code. 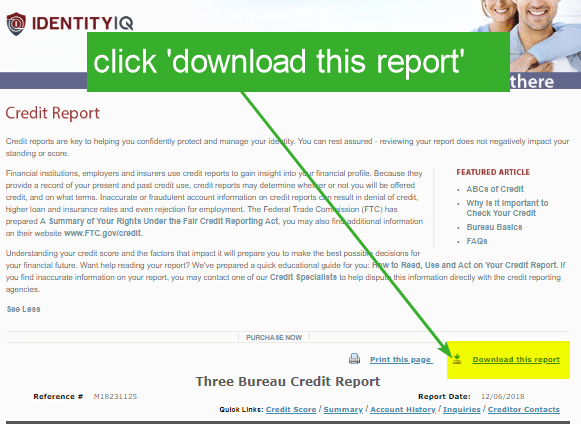 Follow the instructions to upload your report at the bottom of the form. Provide us with your login information. You can't attach your credit report at this time, no problem! We'll email you a reminder when this form is completed and a business finance specialist will be reaching out to you shortly.